This mod adds in more than 30 new birds to your Minecraft world, spawning in a variety of different biomes. Hear woodpeckers pecking high up in the trees, see swans swimming about in rivers, or listen to the lyrebird mimicking its environment. This mod helps to bring your world to life! Birds can be found spawning in the world or can be hatched from eggs found in nests, which generate upon trees in your world. Each bird also has multiple species, bringing the total number of birds to more than 100! A detailed bird encyclopedia gives you information and knowledge on the birds, such as their favourite food, their habitat, gender and variants. Use this book to try and log all the birds in your world! The 1.12.2 version of this mod is compatible with the Bird's Nests mod. Thank you immensely to kellixon and pidrosax for the Russian and Spanish translations! This mod would be a lot better if it didn't replace nearly all minecraft passive mobs. If you want to have a fun challenge, install this mod then fly around and try to find a cow. Good luck. Please , I dont if it is a bug for mi minecraft or the mod , but i cant see the bird encyclopedia. Please help me ! I'm interested in configuring the spawn rates. Is that possible at this time? 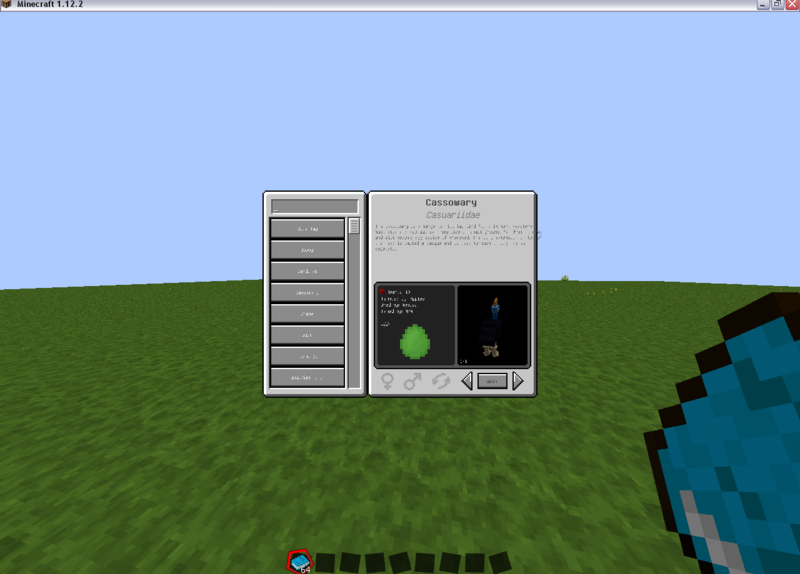 The config included right now is very bare-bones, and has no spawn rate options. I only want specific birds, like songbirds/ducks, for ambience, without getting overwhelmed by the rest. I'd also like to be able to limit spawn amounts. Hopefully this could be made possible! Will you add more parakeets? Like budiges? So ... the future did not intend to help Phoenix flight to increase the price? unfortunately, it had to continue to disable the Phoenix. I absolutely LOVE this mod! But, I cant play it in my Twitch/Curse minecraft. If you could upload it there, it would be amazing. Hoping to add some price. e.g. hunger or the reduction of health.